What I love: Simple to set up the Ivory LED votive candles come in a small box of 2. 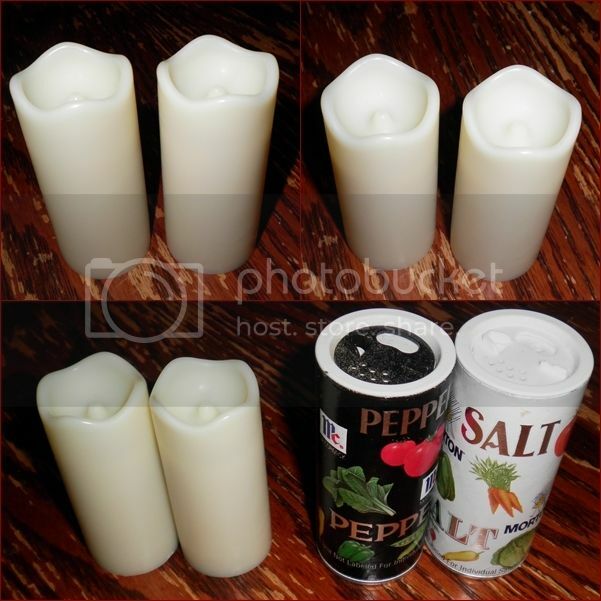 Each candle is small at 3" tall by 1.375" around, but they are a little taller than normal votive candles. A good comparison is they are just a hair smaller than your average salt and pepper shakers. They are ivory in color and very realistic looking. In fact, after turning it on I asked a few people if they could tell and they were shocked to see it was fake. The flicker is very perfect in these. One of the reasons they look so good when lit is that they are actually made with real wax. I think it reflects the glow of the LED much better than standard plastics. 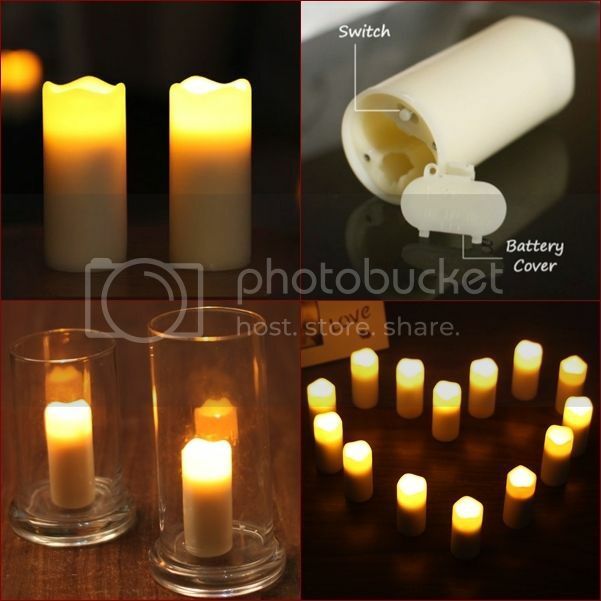 Each candle takes two AA batteries installed instantly through a small panel in the bottom. There is also a 3 way switch, the middle is off, the left says "4h" which is a 4 hour timer and the right says "8h" which is an 8 hour timer. The cool thing about these timers is say you put it on at 7pm on Monday night, it will run for the 4 or 8 hours specified and turn off then the next night at exactly 7pm it will come back on again! You can set these anywhere and know they will illuminate the same time everyday which is awesome! These would be great with rechargeable batteries as part of your normal decor! These are perfect for home, events like weddings or because they are safe LEDs and not open flame you could even use them in your office. I highly recommend them!